If you were to tell a young Montreal sports fan growing up in St. Leonard in the 1980s like Andrew Farrar that he would achieve international success because of his music about sports and social issues and that he’d develop a fan base all over North America in the process, he’d probably laugh at you and walk away. But for Farrar, who performs under the stage name Annakin Slayd, this became a reality in 2005. Since then, he hasn’t stopped laying down beats. “Ever since I started rapping professionally in 2005 and released my first single, it’s always been about getting the message across in my music,” said Slayd. Born in 1978, he grew up with a passion for sports. Slayd says that while he wasn’t brought up in a wealthy family, his parents were very supportive of him and his siblings as they played in various sports leagues. “My brother played a lot of baseball, went on to Junior A. My sister was a hockey goalie, and I played baseball ever since I was six years old. I was a catcher, I fell in love with the game itself, and in my teenage years I felt it gave me a different perspective,” said Slayd. Slayd’s love for sports extends to the two Montreal teams he has cheered on the most, the Expos and the Canadiens. He was heartbroken when the Expos played their final home game on Sept. 29, 2004 before moving to Washington, D.C., but he says he believes they will return. “In the next 10 years, I’d like to go back to whatever ballpark and watch the Expos play again, or whatever they’ll be called,” said Slayd. Two weeks ago, when the Olympic Stadium hosted two Major League Baseball preseason games, Slayd was presented with the opportunity of a lifetime—watching his music videos played on the big screen, a first in his career. “It’s hard to believe. I was going 25 times a year when I was a kid, taking the bus and then the metro to Pie-IX, […] sitting and dreaming of the Expos winning,” he said. He attended both games and hung around members of the Expos team that had been the favourite to win the World Series in 1994 before a strike forced the end of the season prematurely. “It was an overwhelming experience all around. I hardly slept and it was worth it,” said Slayd. “From seeing the ’94 team introduced on the field in front of 50,000 people and performing at the gala in front of the team members themselves, I couldn’t have asked for a better baseball fantasy weekend. Slayd’s favourite Expos player was Gary Carter, so when Carter passed away from brain cancer in February 2012 it was a devastating hit to Slayd. He decided to create a song about it, which he called “Kid,” in reference to Carter’s nickname during his professional days. He also donated proceeds from the song to the Gary Carter Foundation. As for Slayd’s love of the Montreal Canadiens, in 2008 he captured the attention of Habs fans with his hit song “Feels Like ’93,” which became the Canadiens’ anthem throughout their playoff run. 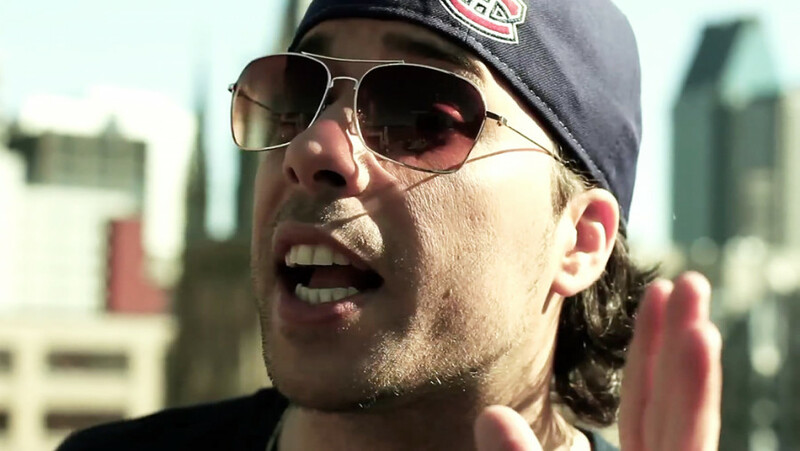 Slayd also came up with the song “MTL Stand Up” for the Canadiens’ playoff run in 2011. Additionally, Slayd released a song titled “Stay Gold” for the men’s and women’s national hockey teams for the Winter Olympics in Sochi this year. The title was subsequently changed to “Stayed Gold” after both teams were victorious again. With the Canadiens gearing up for a playoff run this spring, Slayd will likely be providing another anthem for Habs fans, but it’ll depend on how well they do in the postseason.